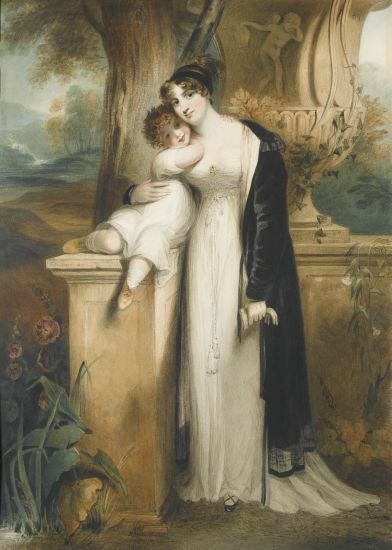 The sitter married Benjamin Burton of Burton Hall, <?xml:namespace prefix = st1 />County Carlow, Ireland, who was a second cousin of the 2nd Marquess Conyngham. 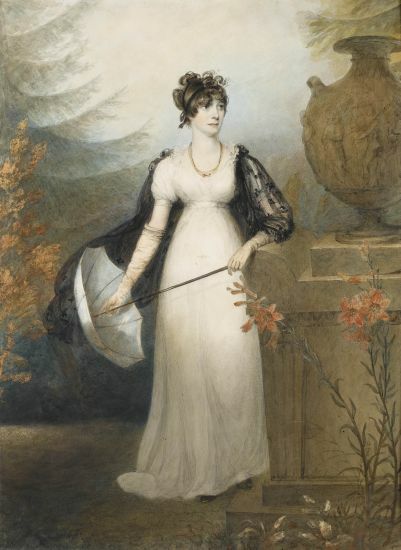 Their daughter Mary Elizabeth Burton (1797-1842) married Sir Richard Sutton, Bt. (1798-1855) of Norwood Park, Nottinghamshire in 1819.